Ecolux T8 reduced mercury lamps have all the superior performance of Starcoat (best color, more light over life) in a reduced mercury lamp. TCLP compliant, substantially lowering costs where applicable. Specification grade. 32W, 48" T8 Fluorescent, 4100K, 30,000 hours, 2900 lumens, CRI 80. No. 15903 F32T8/SP35/ECO/UPC: Use: Fluorescent Tube, Watts: 32W, Bulb Finish: White, Lumens: 2800 lm, Color Temperature: 3500K, Bulb Shape: T8, Base Type: Medium Bi-Pin (G13), Life in Hours: 20,000 hrs, Volts: N/A, Maximum Overall Length (MOL): 48" No. 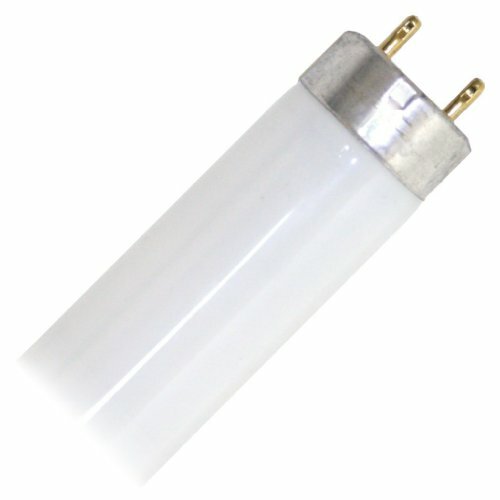 15909 F32T8/SP41/ECO/UPC: Use: Fluorescent Tube, Watts: 32W, Bulb Finish: Cool White, Lumens: 2800 lm, Color Temperature: 4100K, Bulb Shape: T8, Base Type: Medium Bi-Pin (G13), Life in Hours: 20,000 hrs, Volts: N/A, Maximum Overall Length (MOL): 48" No. 66348 F32T8SPP35/ECO: Use: Fluorescent Tube, Watts: 32W, Lumens: 2900 lm, Color Temperature: 3500K, Bulb Shape: T8, Base Type: Medium Bi-Pin (G13), Life in Hours: 30,000 hrs, Volts: N/A, Maximum Overall Length (MOL): 48" No. 66349 F32T8SPP41/ECO: Use: Fluorescent Tube, Watts: 32W, Bulb Finish: Cool White, Lumens: 2900 lm, Color Temperature: 4100K, Bulb Shape: T8, Base Type: Medium Bi-Pin (G13), Life in Hours: 30,000 hrs, Volts: N/A, Maximum Overall Length (MOL): 48"